Prefer unique home decor? Then these cute gnomes may just be what you are looking for! 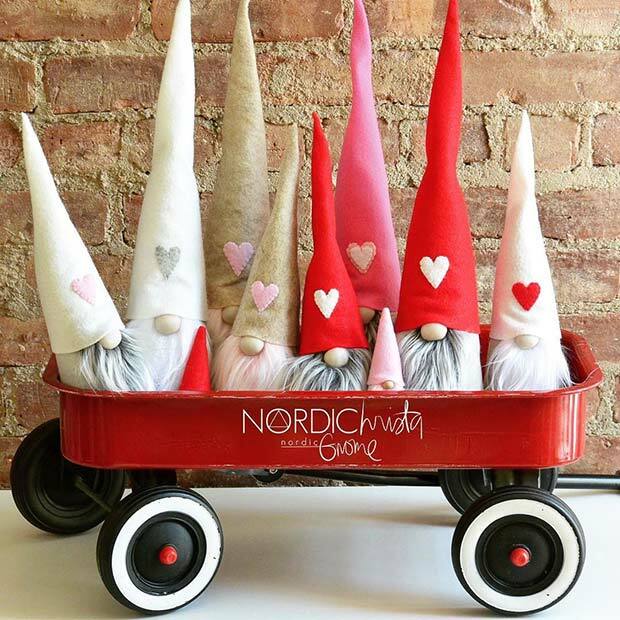 The cute Nordic gnomes can be seen at Christmas, but these little guys have had a Valentine’s makeover. The gnomes are available in different sizes and colors. We love these! Generally, Valentine’s decorations are vibrant and are usually pink or red. If that isn’t your thing, then you could go for something simple like this. 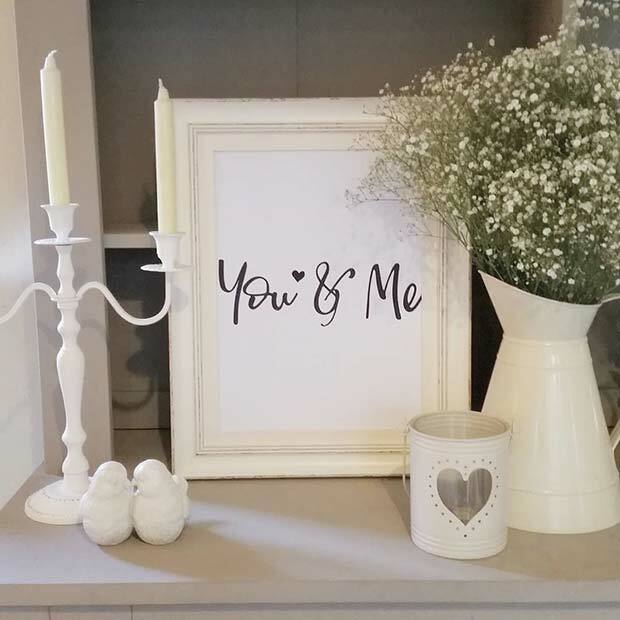 The table has been decorated with a white heart tealight holder, two birds, flowers, candles and a white you and me print. This print would look lovely in any home for the occasion and after. Surprising your other half this Valentine’s? Then take inspiration from this next pick. The room has been decorated with balloons, garlands, cushions and treats. Anyone would be so happy to be surprised with something like this. You could recreate something similar or add your own special finishing touches. White trees have become very popular and look super stylish in any home. You can decorate these trees seasonally and for occasions. 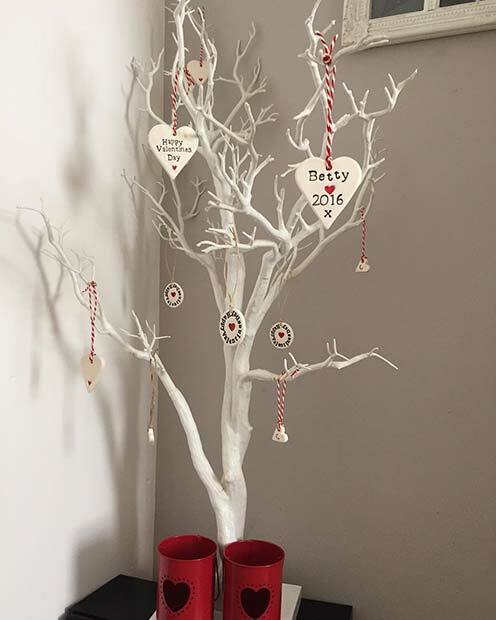 For Valentine’s day you could decorate your white tree with hearts and more. This one was decorated with personalized white heart decorations. You could make your own similar to these or buy some. It wouldn’t be Valentine’s day without cupid! 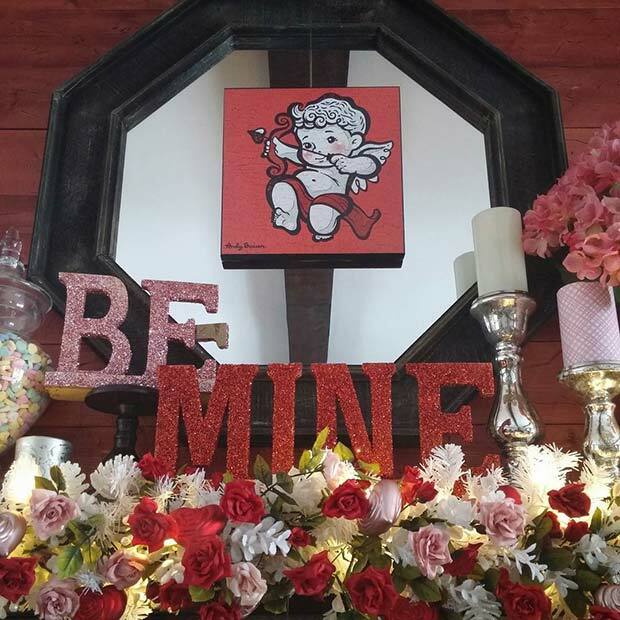 These next idea shows that you can stylishly decorate your room with a Valentine’s cupid. You could have a similar design and you could even add a similar be mine sign and flowers to. We love this idea! Having a party? Then you need to check out our next idea. These drinks have been finished off with a strawberry heart. You could use and glasses and any drink. 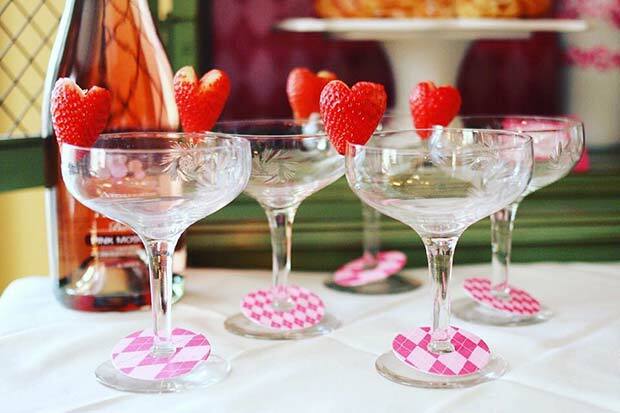 For a Valentine’s look try using pretty glasses like these and fill them with a pink cocktail. Be Mine is a classic Valentine’s message. It is featured in candy, cards and more. 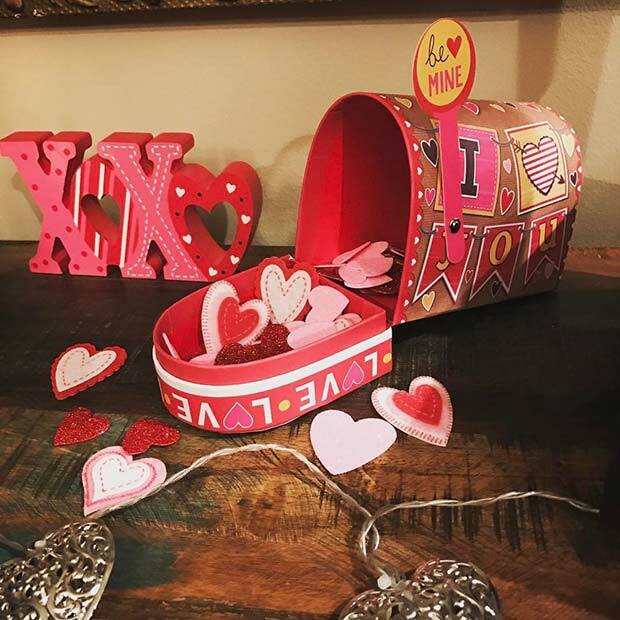 If you want a stylish Be Mine decor idea, then try a cute heart box like this one. It will suit any home and could be used as decoration year after year. If you are very crafty you could even have a go at making something similar yourself. Are you looking for quirky and bold ideas? Then this next idea could be for you! In this home a cute letterbox full of pink and red hearts has been added to the room. 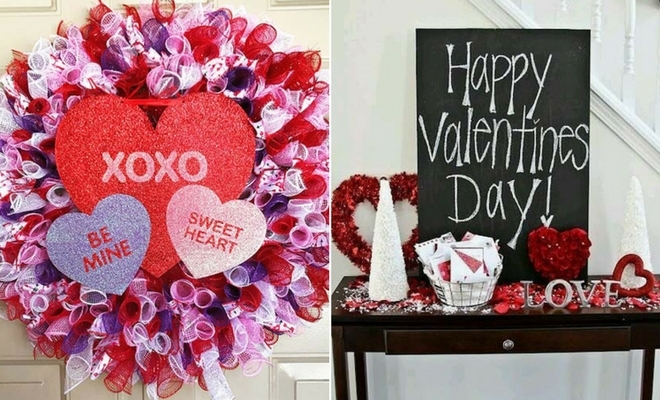 We love this decor idea because everyone looks forward to receiving a Valentine’s day card. With this cute item everyone in your home will! Like crafts? 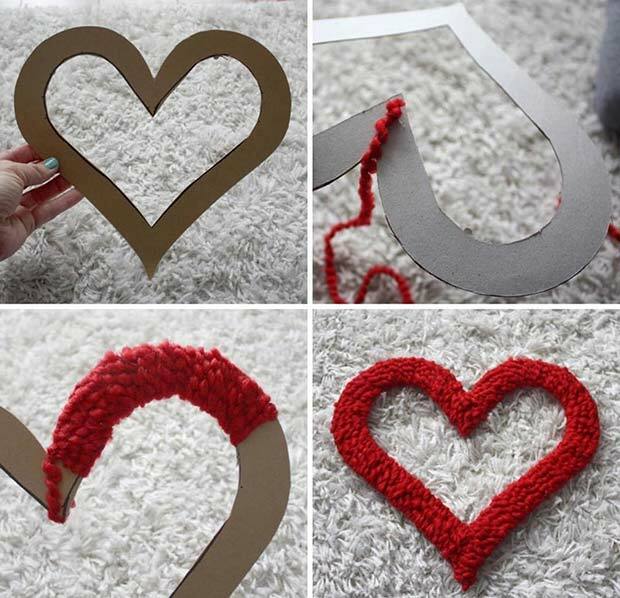 Then make this simple and low-cost wool heart. A red wool heart like this would look so cute in your home. You could even make a few in different colors. Maybe even add some to the door for a simple door decor idea. You could also make hearts in different sizes. If you love to decorate and want to have fun and go all out, then this idea is for you. 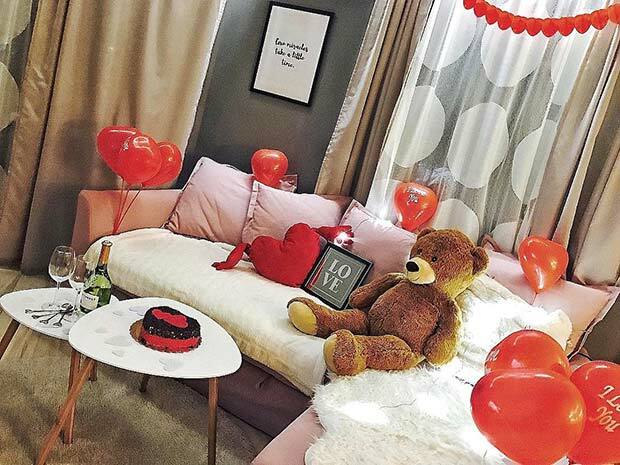 In this home a table has been decorated with a big sign, multiple hearts, Valentine’s letters and more. 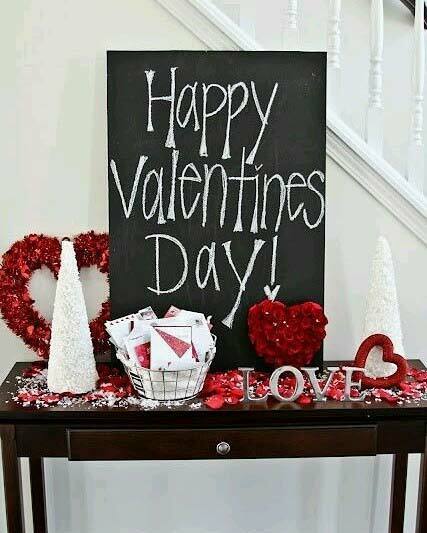 When anyone comes into your home they will know you love Valentine’s Day. 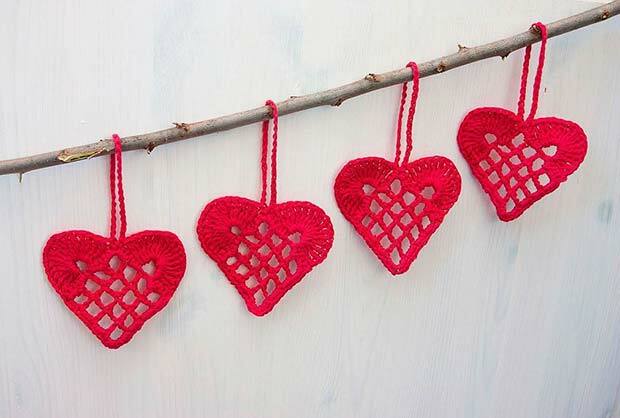 Last on our list are these super cute red crochet hearts. 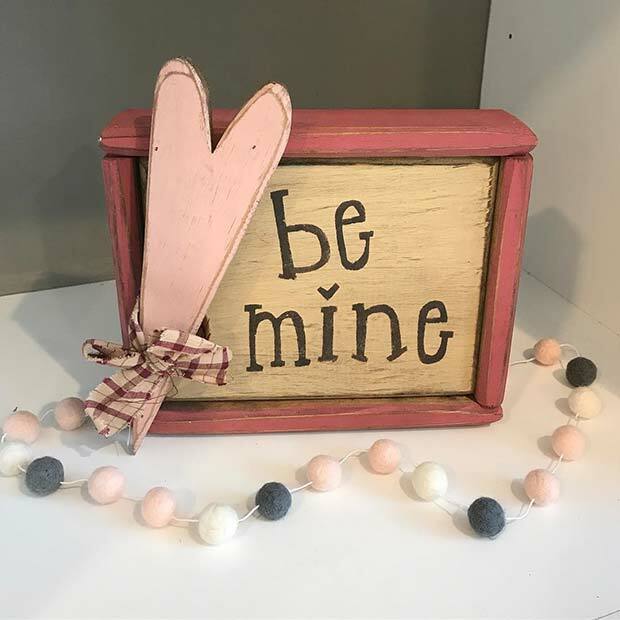 We love these little hearts as you could hang these up all over the house. If you know how to crochet you could make something similar yourself. Maybe make some in different sizes and colors. You could even give these out as gifts to friends. We hope you have found the perfect decorations for Valentine’s day!